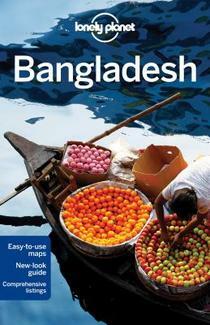 An authoritative gateway to the lesser-explored regions of Bangladesh, this guidebook offers greater coverage than any other to the Chittagong Hill Tracts, where 13 different ethnic groups live amid breezy hillside scenery, and to the world's largest mangrove forest at the Sunderbans (where Bengal tigers occasionally chew on a human or two). With a focus on responsible tourism, it leads trailblazing travellers to those aspects of the country that are almost unknown to visitors – dolphin and whale watching, winter bird-watching in the northern wetlands and golden Bengal's silk and archaeological highlights. Look beyond the disaster headlines and discover a can-do country of open-hearted people (not to mention tigers, tea plantations and the world's longest beach). Chug down mile-wide rivers, fish with otters, hunt for honey and marvel at the resilience of a country in the process of banning petrol vehicles and plastic bags - and creating a flurry of national parks. Handzame wegenatlas op A5 formaat, helaas geen spiraalbinding. Maar voor deze regio is er op dit moment geen andere atlas beschikbaar. 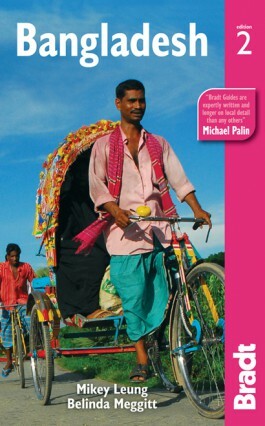 This is our biggest atlas ever, with 152 pages of maps and 51 pages of place names indexing. The Indian Sub-Continent consists of Pakistan, India, Nepal, Bhutan, Bangladesh, Sri Lanka and Kashmir. Each country (Kashmir being considered shared) is presented as an entity, so Pakistan occupies 30 pages at 1:1,200,000 scale, and Nepal occupies 32 pages at 1:530,000 scale. In short, each country is shown in detail, but at scales appropriate for each country. The amount of detail on each page is impressive; equal to buying six maps at $12.95 each. The market is the traveller to the region, visiting several of these areas and wanting a compact way to have detailed mapping without having to carry half a dozen maps or spend a large amount of money on maps. Eleven city inset maps are included, as well as basic insets for the Andaman and Nicobar island chains. This completes our network of atlases that started with Japan and China, and now includes South East Asia and the Middle East in a series of detailed travel atlases covering almost all of Asia.